African Salsa Orchestra is a band born in 2014. Led by Michel Pinheiro (Beninese singer & trombonist) ASO is a dance machine that makes you dance from Cotonou to Cuba. Disciple of Mamadou Doumbia, Michel meets in his recording studio the young Doumbouya Moussa, aka Tiken Jah Fakoly for whom he signs the first horn arrangements. Therefore, it will become his faithful companion and conductor, imprinting his mark until 2011. In 1999, before the death of Doumbia, Michel recorded his first album, “Esperanza”. It incorporates from their creation the “”Mercenaies de l’Ambience””, the orchestra that participated in the Enchanted Africa. Salsa never left him, even if he sometimes flirts with other genres. 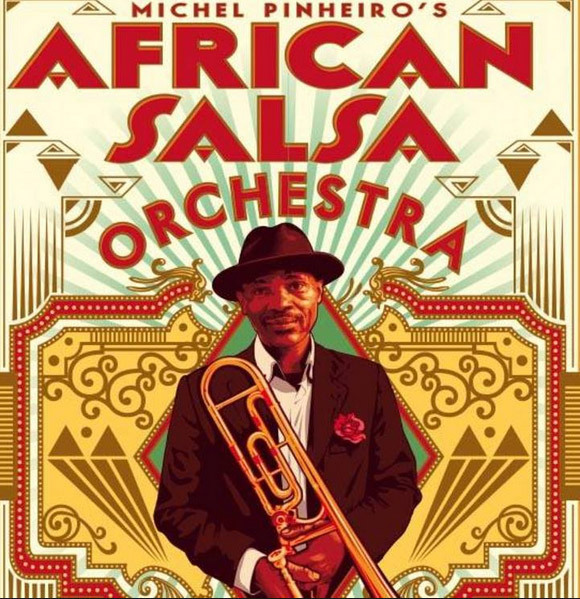 In 2014 Michel decided to create with the support of Florent Briqué the African Salsa Orchestra, a unique orchestra bringing together Africa and Cuba. ASO will be playing at Festival La Mar de Músicas in Cartagena. More info here.